Can “Skinny” Taste Good? Oh Yes It Can. I hope everyone had a very tasty and happy Thanksgiving! 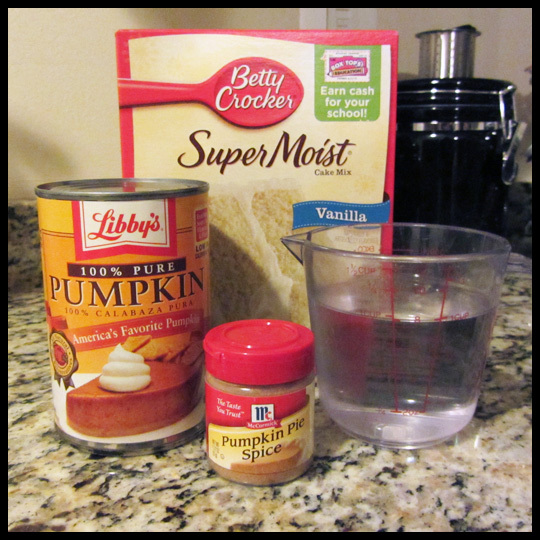 I wanted to take a few moments to share a fantastic recipe for Pumpkin Cupcakes that I made for Thanksgiving. They even claim to be “skinny,” so it was an added bonus to this minimal ingredients and easy-to-make recipe. Preheat oven to 350°. 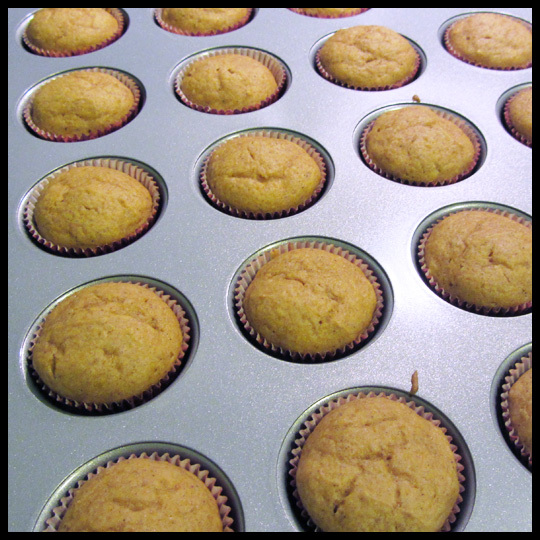 Line a cupcake tin with cupcake wrappers. 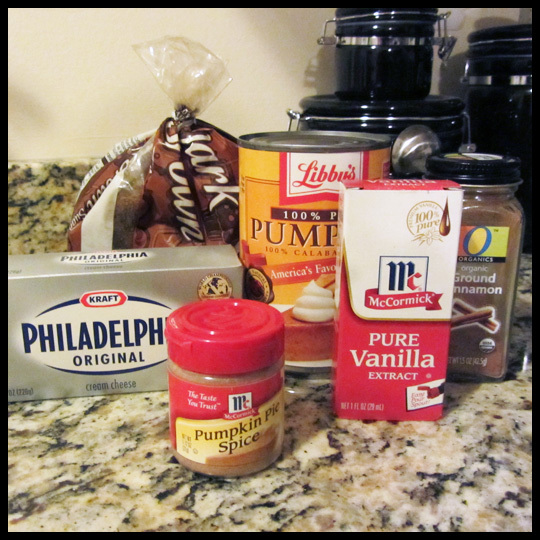 Combine cake mix and pumpkin spice in a large bowl. 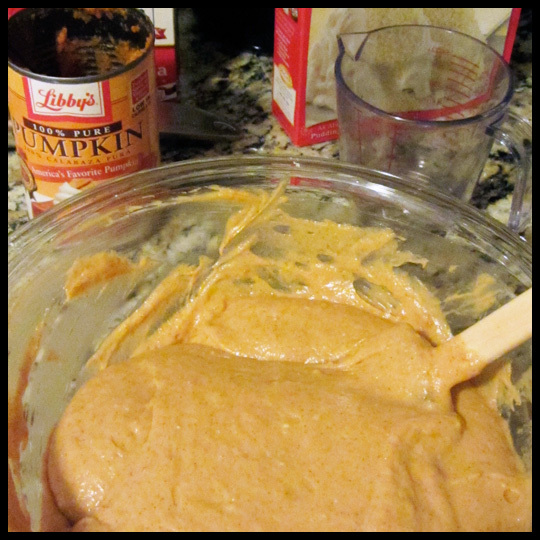 Add pumpkin puree and water, mix about 2 minutes. 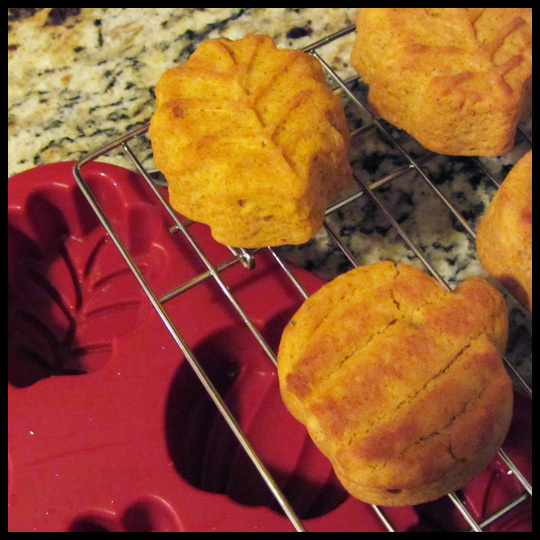 A army of mini cupcakes that pack a big pumpkin punch. Yum. Click here to read the full recipe from SkinnyTaste.com. 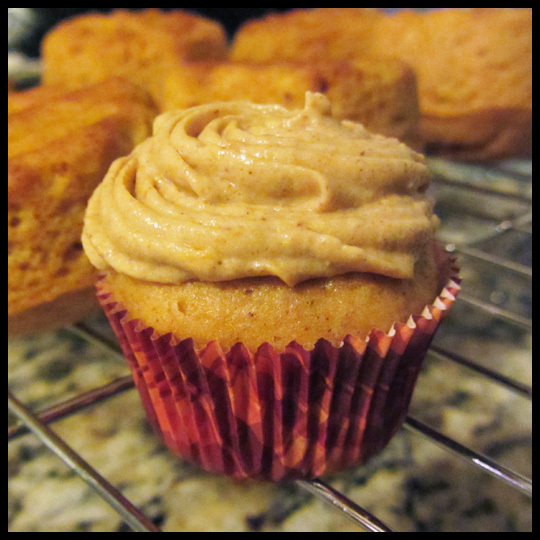 This entry was posted in Baking, Cupcakes and tagged Baking, healthy, mini cupcakes, pumpkin cupcake, pumpkin frosting, skinnytaste by Stacy. Bookmark the permalink. My response to these cupcakes? It was like a pumpkin explosion in my mouth. 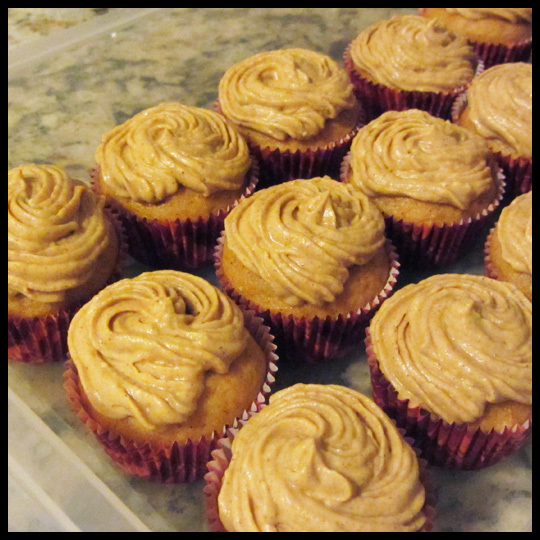 So good and very moist!